Are you Mark Zuckerberg fan? 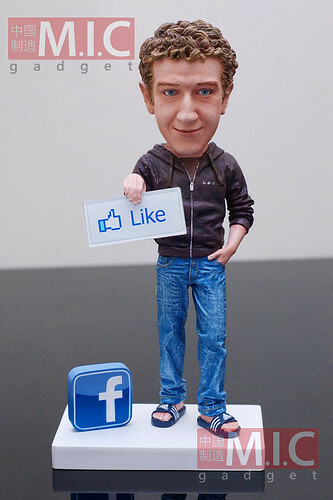 Don’t you want to buy Mark Zuckerberg action figure and put it on your desk? 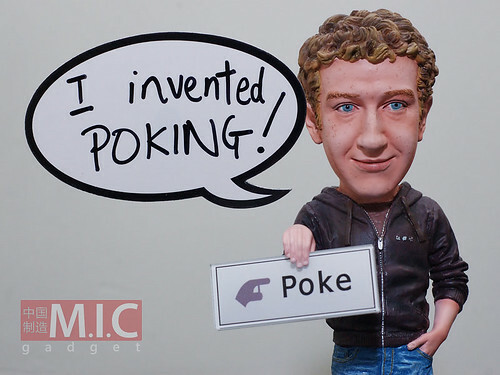 “Poking Inventor” action figure was created by M.I.C Gadget that is inspired from a man who makes the world more open and connected, Mark Zuckerberg. This 7″ tall figurine can holds a “Like” or “Poke” button in his right hand with his nice pose of sticking his left hand in pocket with his thumb out. 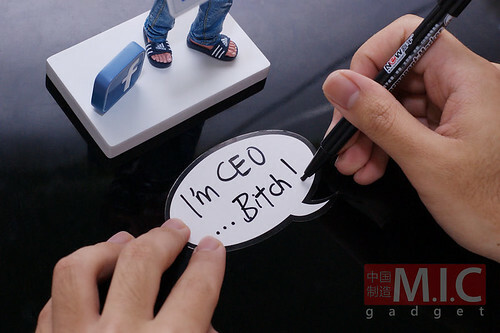 It also comes with three speech bubbles cards which you can write anything and attach it onto the figurine. Price is $69.90USD without shipping. I’m gonna get this! How about you? All photos credit to M.I.C. Gadget.